Watch the Final Four with Thursday Network! 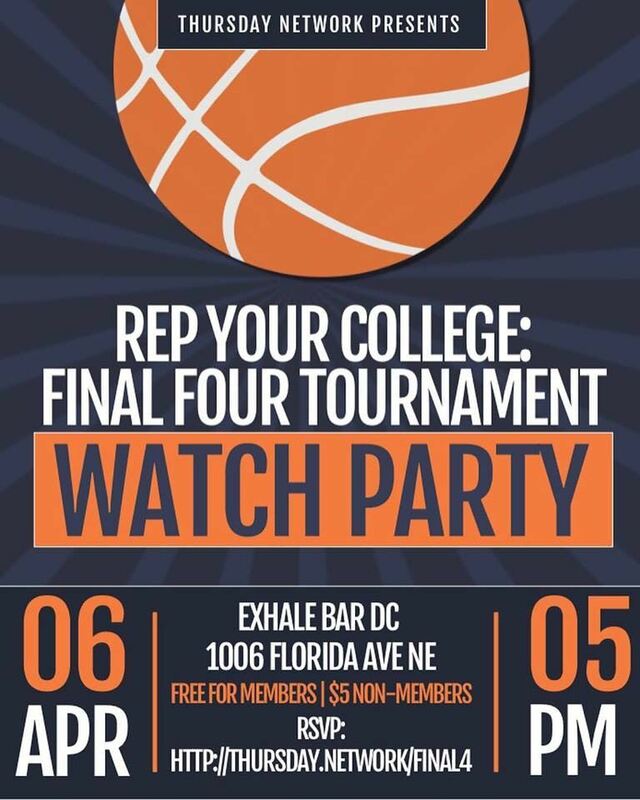 Join us Saturday, April 6 for our Final Four Watch Party. Rep your college and bring your best school spirit while networking with DMV young professionals. Light food will be provided! Entry is free for TN members, and non-members and guests are welcomed to join with a $5 non-refundable donation to the I Am Empowered Scholarship Fund.